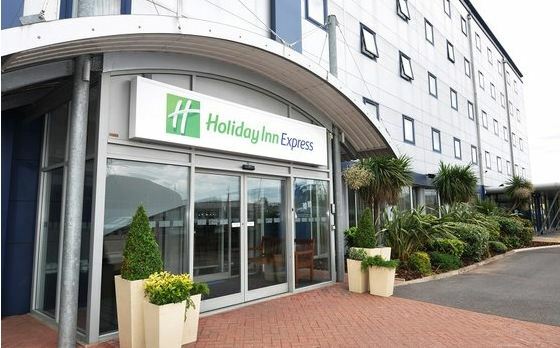 The Holiday Inn Express is situated in London’s Royal Docks and is located closely to the nearby o2 Arena, Excel London and London City Airport. Situated closely to the nearby DLR means excellent transport links around London and to key transport hubs such as London Kings Cross, Euston & Waterloo stations to get further afield. The Holiday Inn Express Royal Docks has 136 fully en-suite and air conditioned rooms as well as family rooms accommodating up to 2 adults and 2 children. High speed internet is also available. The Royal Docks has lots to offer, from stunning views, convenient transport links and nearby attractions including the o2 Arena, Emirates Cable Car, London Excel Exhibition Centre, Canary Wharf and more and because of the hotels closeness to transport links means this is an ideal hotel to stay at for easy access of these attractions. Where is Holiday Inn Express Royal Docks London in London? Copyright © 2013 - RoyalDocks.Net. All rights reserved.